You have waited nine long months, your new baby is finally in your arms and you just realized you haven't scheduled your newborn portrait session. 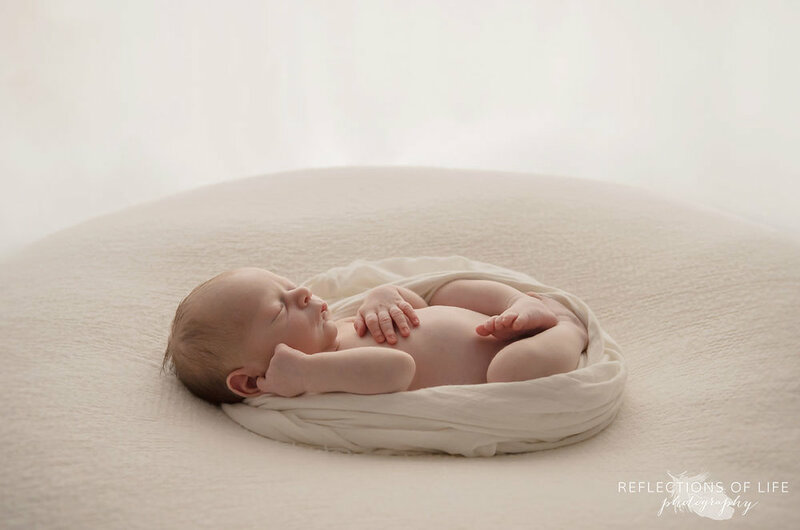 You are excited to have your family documented, celebrated and to leave your children with beautiful images that include you. Now what's the best way to go about doing it? I have put together some helpful hints that will make it not only stress free, but oh, so enjoyable. Choosing the right photographer for you makes a big difference in how stressed you will feel during a photo session. I encourage my clients to meet with me beforehand, or have a really good telephone conversation about their vision for the session and all those little details. I enjoy getting to know you and ensuring our visions for the session are compatible. I send my clients a list of clothing options that work well here in the studio. Although I do have options for baby and mom on hand, wearing your own clothing can make your portraits feel a little more personal. It’s a wise idea to choose the outfits you’ll be wearing a few days before your session, just in case you’re in need of something. Iron and hang/lay them out the night before to take out the stress of remembering, and so your husband can assist you with dressing everyone with ease. Sleep when your baby sleeps. Seriously. If you’re coming to a studio anyway, the dishes can wait. Do your best to ensure that everyone in the family gets a proper amount of sleep the night before a photo session. You will feel so much better if you are well rested and you will be better able to handle the little stressers that are sure to occur. If there are special circumstances that I (or the photographer you choose) should be aware of, make sure to communicate that ahead of time. If I know your child has special needs, I can plan ahead and I’ll be more likely to achieve the images you will love so dearly. You just had a baby, so I assume you are not going to be on time for your session. Just do your best. I am completely okay with that. We are creating beautiful images of your family, but we’re also having a special day together and making memories. Embrace the idea of me documenting your children interacting with you or each other. That’s exactly how we’ll get the great images where everyone looks like themselves. In all of the chaos and the conversations, you know who you are. You know you would like these moments documented in the most wonderful of ways. In the beauty and in the light of God’s goodness, you know who you are. Woven through His words, scripture, promises with your name on it is the very description of exactly who you are. You are a treasure. You are on purpose. You are loved. You are powerful. You are a mouthpiece of grace. Now let’s begin this adventure together.